The 2017 University of Utah College of Engineering staff, teaching and service awards were handed out Aug. 18 during the annual fall faculty meeting. 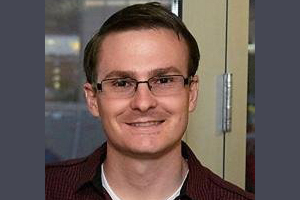 Congratulations to all of the recipients of this year’s awards — including Materials Science and Engineering student Joshua Winger as this year’s Outstanding Teaching Assistant. It takes a rare combination of not only intelligence but selflessness to be a great teaching assistant. Josh Winger in the Department of Materials Science and Engineering is one of those TA’s. To read the complete list of this year’s winners click here.